Although research, science and technology are all meant to be the guiding forces leading to a better tomorrow and the optimization of our living standards, sometimes the question as to whether an over-technological future really stands for the perfect utopia society we’re looking for really needs to be asked. 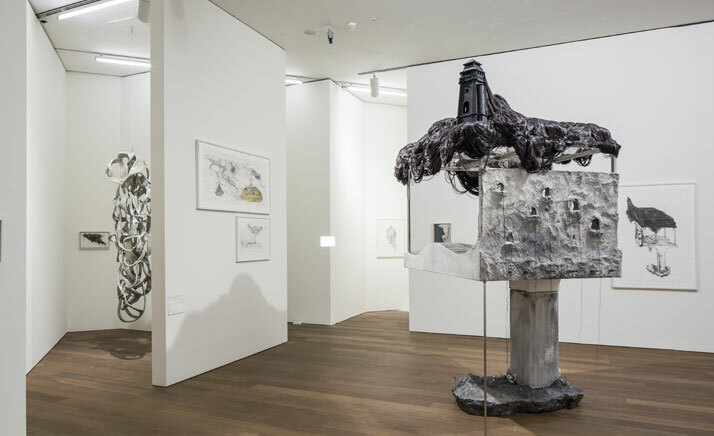 With critical voices from all disciplines questioning the positive impact of scientific achievements, especially when we think of the atomic bombs that destroyed Nagasaki and Hiroshima, one particular artist has stood out. 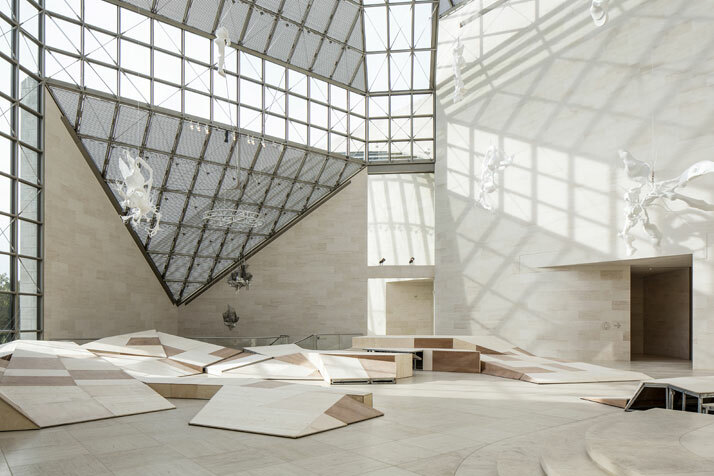 Lee Bul, Diluvium (2012), a floor installation covering a large part of Mudam's Grand Hall. 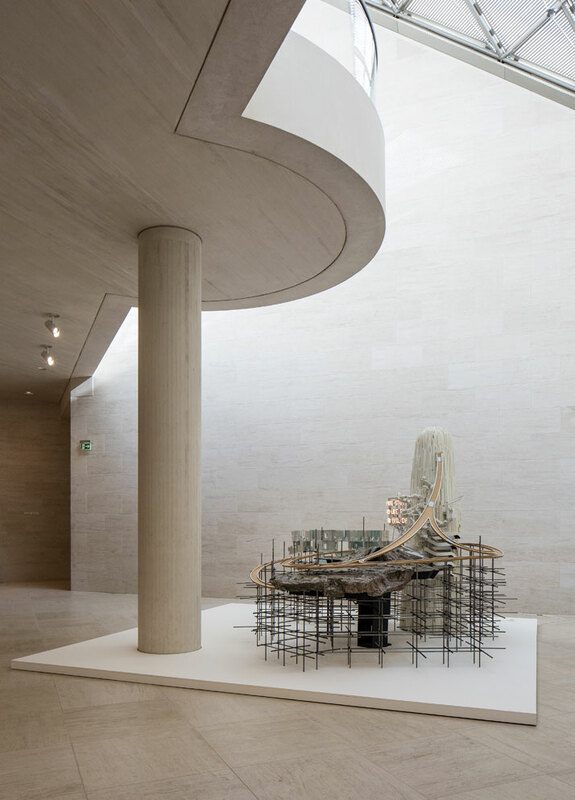 Installation view at the exhibition LEE BUL, Mudam Luxembourg (5 October 2013 - 9 June 2014. 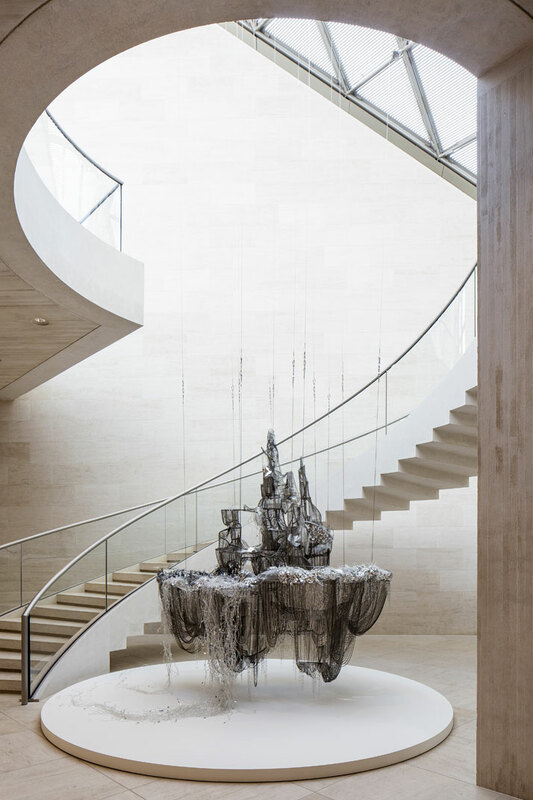 Known for being science-sceptical but also for strongly criticizing society’s search for utopia, South Korean artist Lee Bul creates sinister but also visual astounding works depicting the progress of humanity. 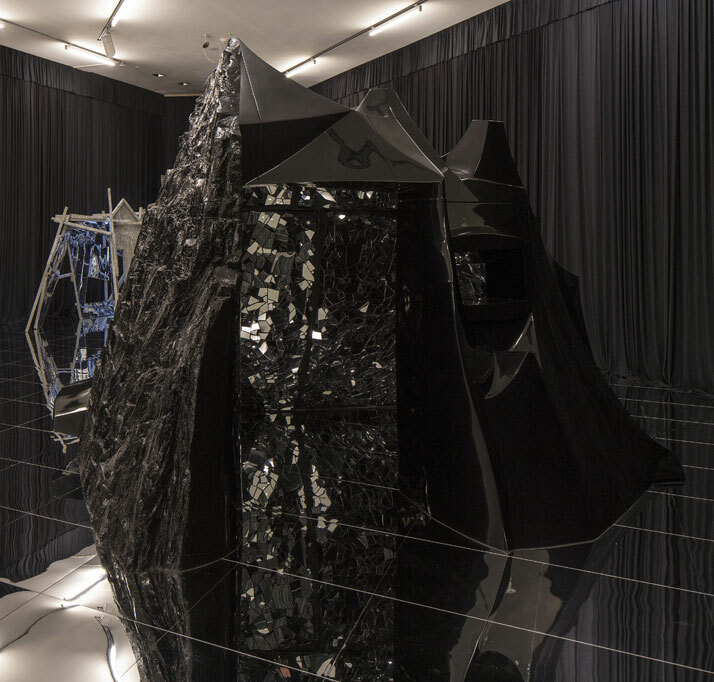 In the process, she touches all kind of topics regarding the obsession for perfection, thus translating this human desire to a bizarre dimension. Bul, who hails from a very political upbringing, learned from the first tentative steps that she took to question her cultural surroundings. 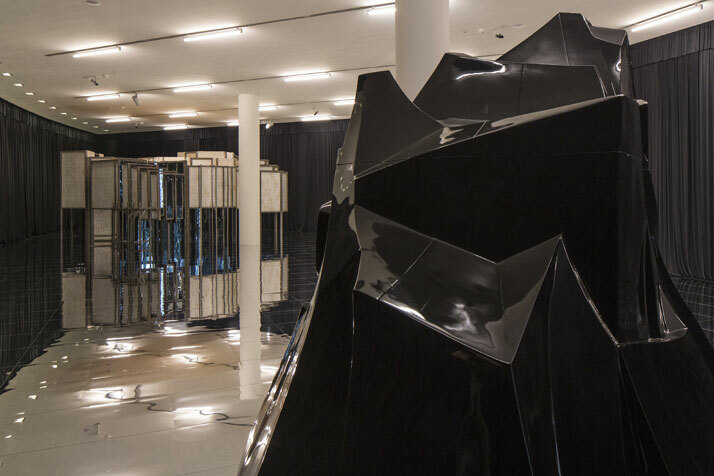 And with South Korean society’s constant struggle with coming to terms with its traditional heritage and combining it with its lightening fast technological developments, suffice it to say that Lee Bul has had a fair share of subject matter to go on. 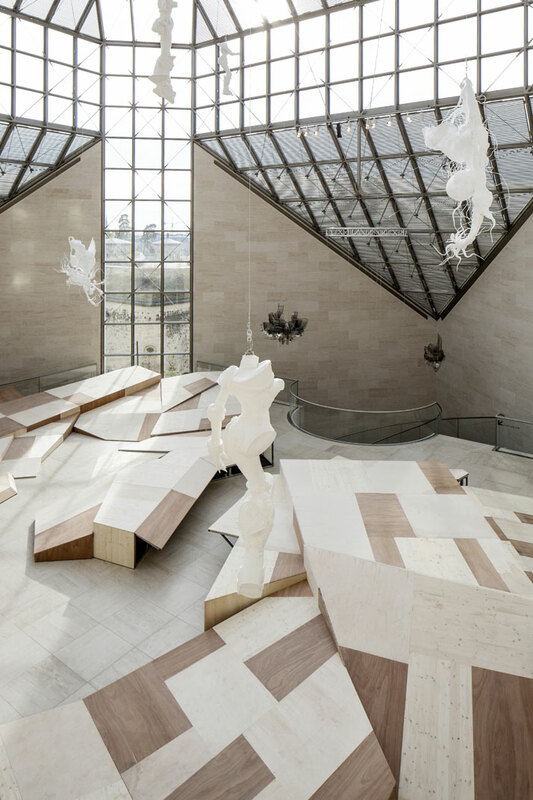 Entering the Mudam - Museum of Modern Art in Luxembourg where Lee Bul’s work is currently being showcased in a wide ranging exhibition, visitors immediately notice the humanoid female figures hanging from the ceiling. 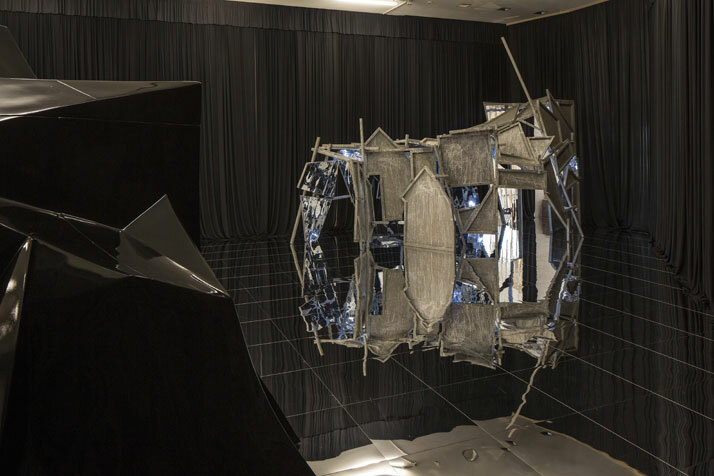 Dating from the 90’s, the ''Cyborg'' and ''Anagram'' series signify the creative pinnacle of the artist’s interest in Western and Asian societies’ fixation with beauty, and cosmetic surgery in particular. 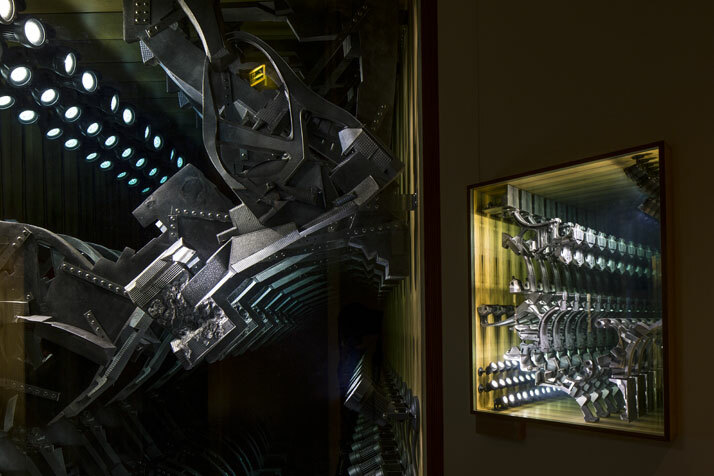 Part mechanical, part feminine and organic, these sculptures seem to point to a manga-inspired version of the Frankenstein myth. 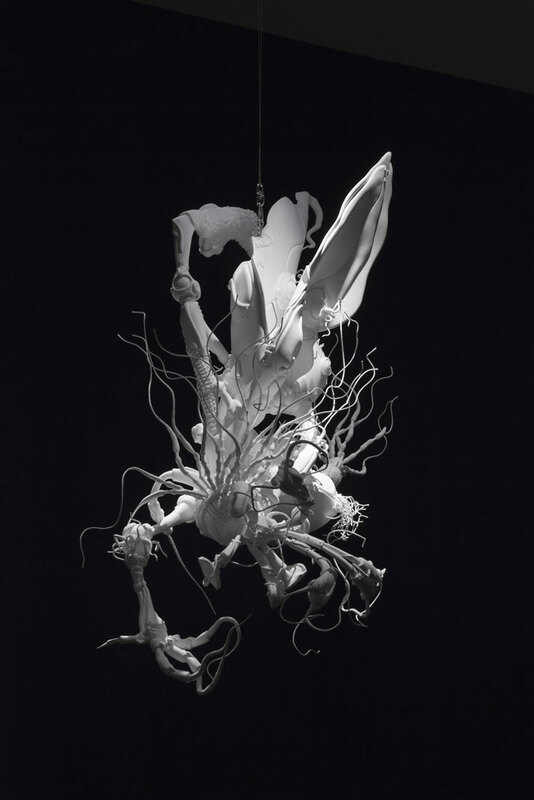 In exploring the hazards of genetic science and creating these nightmarish body shapes which are often missing a head or a limb, the artist also references idealized sculptures from Greek antiquity such as the ''Nike of Samothrace''. 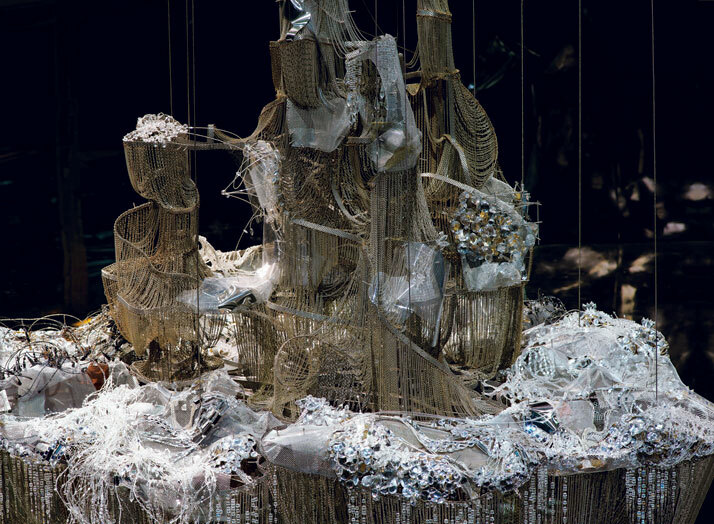 Another important subject that Lee Bul has been working on since 2005 is the cultural construct of architecture. 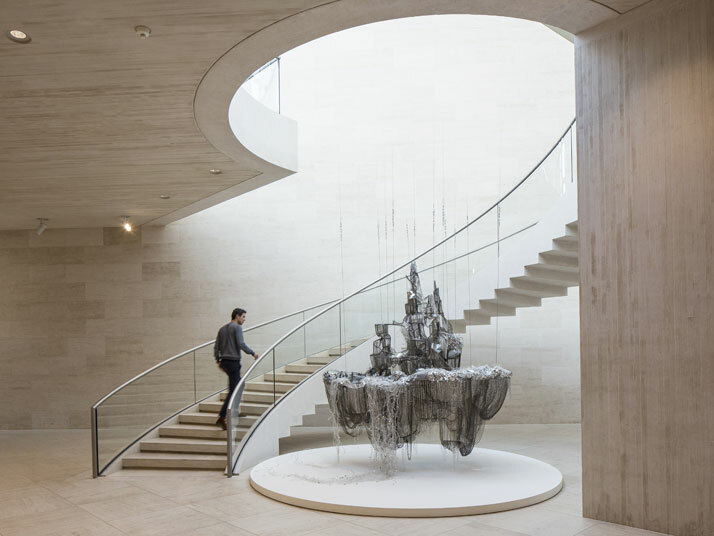 Showcasing in the Mudam’s Basement, her 2007 series ''Sternbau'' inspired by futurist architect Bruno Taut's vision of a crystalline city in the Alps features opulently sparkling, chandelier-like floating castles in the air. 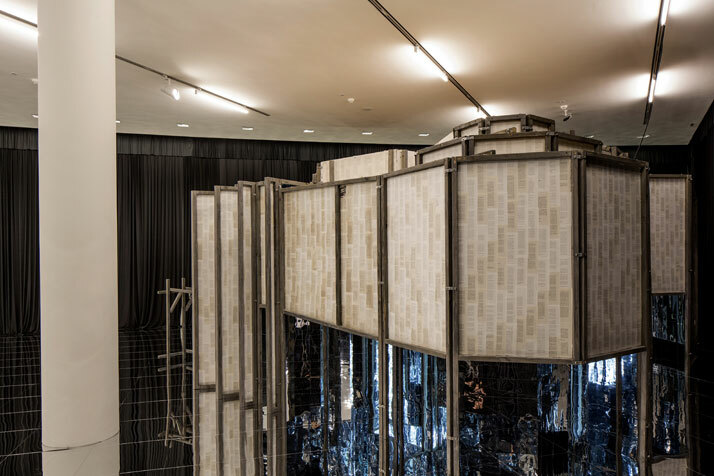 Despite the ethereal beauty of it all, it becomes crystal-clear that these architectural models of the future would however, be cold, inhuman and toxic places to live in. 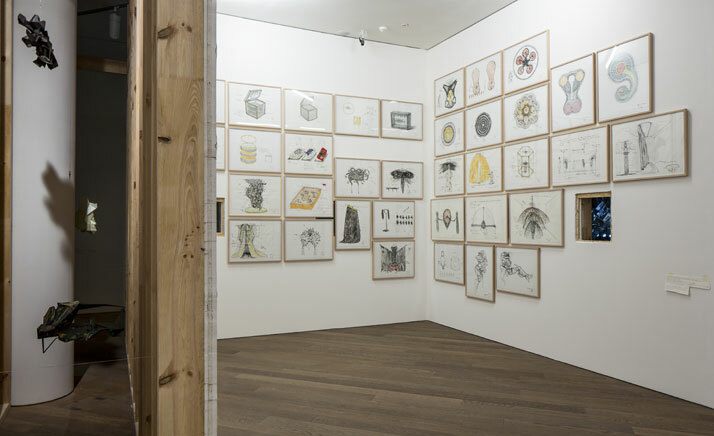 Finally, in the museum’s Studio section, visitors are given an insight into Bul’s artistic creativity. 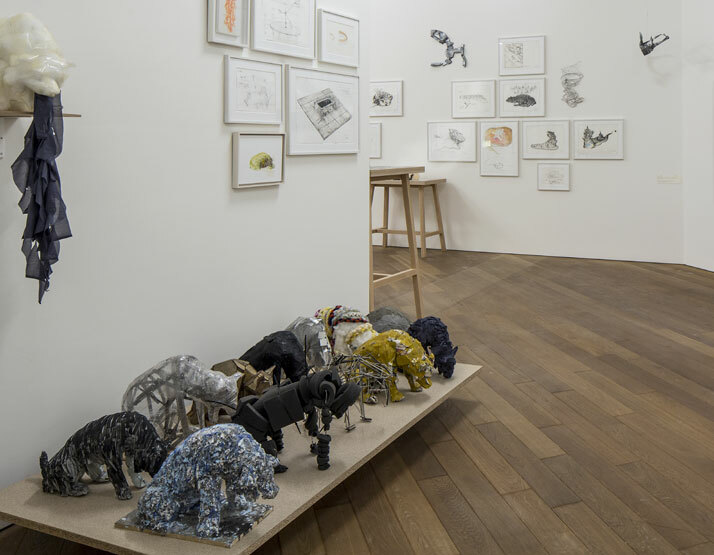 By reconstructing her studio, containing drawings, models and materials, understanding Lee Bul’s work is enhanced through the curatorial interpretation through presenting it in very different stages of its development. 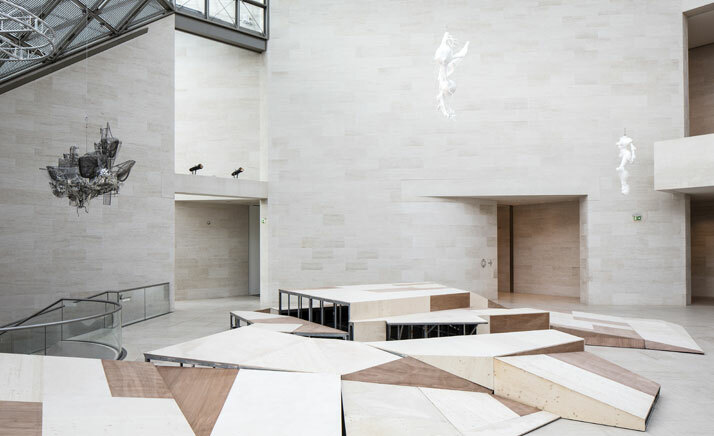 The exhibition at Mudam - Museum of Modern Art in Luxembourg will be open until the 9th of June, 2014. 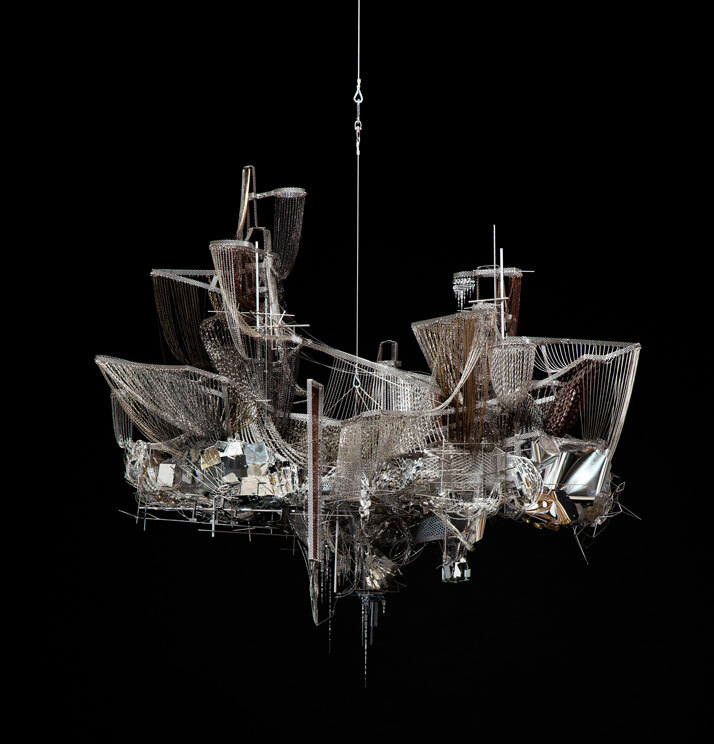 It is the biggest exhibition so far of Lee Bul’s work in Europe and is definitely worth a visit. 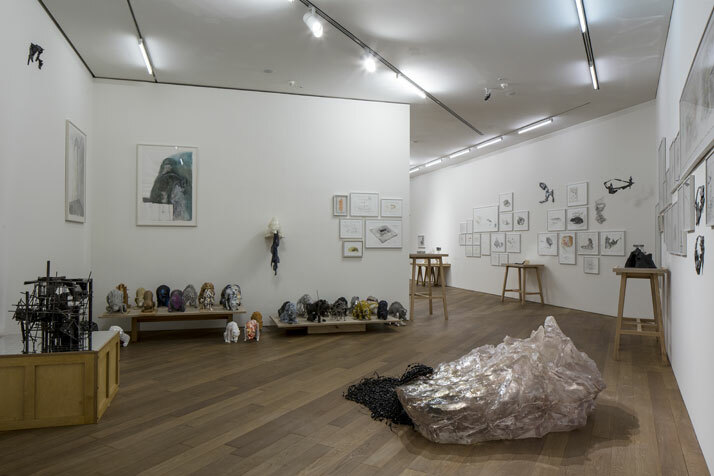 Other solo exhibitions featuring showcasing other elements of her work are currently being held in New York at the Lehmann Maupin Gallery (from May 2 to June 21, 2014) and in Birmingham at the HYPERLINK Icon Gallery (from 10th of September to 9th of November 2014) come Autumn. 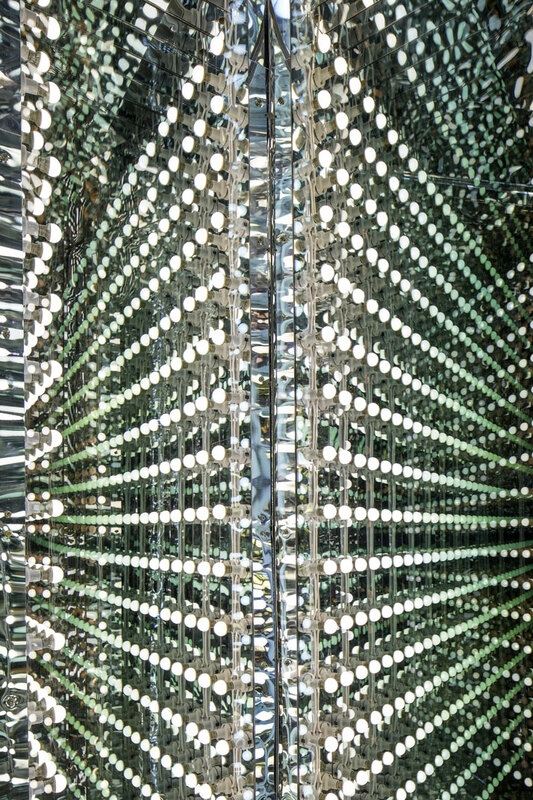 Lee Bul lives and works in Seoul, South Korea. © Photo : Watanabe Osamu. 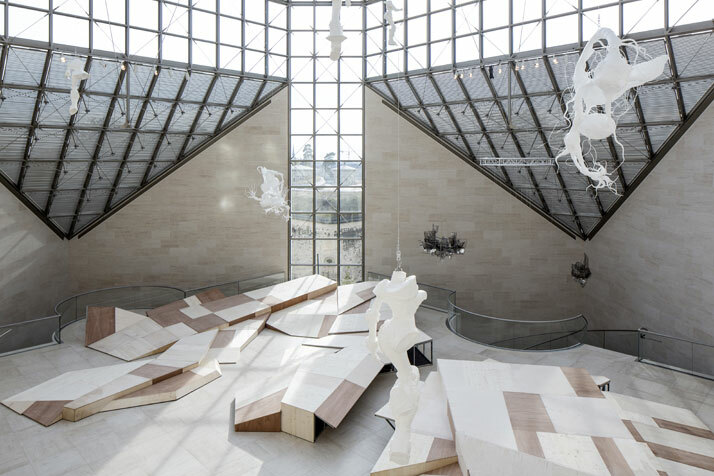 Courtesy Mori Art Museum, Tokyo.